We are pleased to announce that the Museum earlier this month was nominated for a People’s Voice Webby Award, an honor recognizing the best educational and discovery-themed content on the web. As a Webby Nominee, the Museum's work has been singled out as one of the five best in the world in the category. 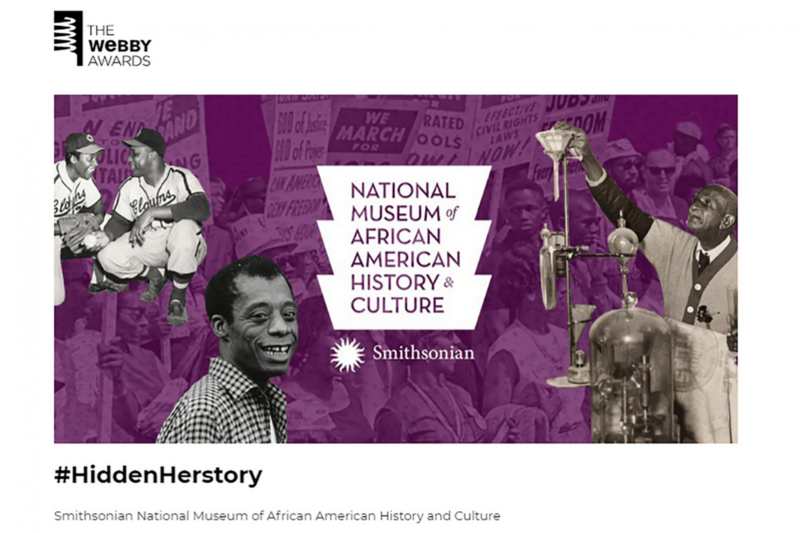 This year, the Museum's #HiddenHerstory social media campaign, which spotlighted prominent African American women in history, was nominated for the award. The campaign featured artists, writers, community activists, among others, who changed the course of history and played an integral role in telling the African American story, yesterday, today, and tomorrow. Voting closes Thursday, April 19.